After Martin Luther’s Postils (sermons on the appointed Bible readings of the Church Year), Johann Spangenberg’s Questions and Answers was the premier Lutheran devotional book of the Reformation era. His explanations of the chief parts of Scripture, in question-and-answer format, taught and fed countless Evangelical Lutheran people of all ages and vocations for centuries. Now for the first time, this entire work has been translated by Matthew Carver in The Christian Year of Grace for modern believers to be built up in their knowledge of God, faith in Christ, and love for God and neighbor. The following excerpt provides a preview of The Christian Year of Grace, which will be available for purchase from CPH in November. DEAR brethren, I, a prisoner in the Lord, exhort you to walk as befits your calling in which you are called, with all humility and meekness, with patience, bearing with one another in love, and be diligent to keep the unity in the Spirit through the bond of peace: one body and one Spirit, even as you are called to the one hope of your calling; one Lord, one faith, one Baptism, one God and Father of us all, who is over you all and through you all and in you all. 1. What does Paul do in this Epistle? After showing in the previous chapter what the Gospel is, how it was provided by God, and was obtained and went out through Christ, and thus laid a foundation of Christianity by faith, he then builds true Christian good works on top of this in the following chapter, and gives the Christians in Ephesus a splendid exhortation. 2. On what does he base this exhortation? On the reminder of his imprisonment and af­fliction, which he was suffering for the Gospel and for their good and glory, that for the same reason they might also honor the Gospel with their lives and conduct. From this we detect what great concern Paul had for all the churches, even forgetting his own suffering, and in the midst of his own cross directing his thoughts so that the church in this or that place might be strength­ened and comforted. 3. How is St. Paul’s exhortation worded? He says, “I, a prisoner in the Lord, exhort you to walk as befits your calling in which you are called, with all humility,” etc. Here St. Paul ex­tols the calling of Christians generally, and lays out four points: first, who called us Chris­tians; second, for what purpose; third, by what means; fourth; how we are to walk and live in this calling. The almighty, everlasting, merciful God, whose name is derived from good. For in God there is utter goodness, grace, and mercy. And this good­ness is so abundant and overflowing in God that it spills over and spreads through all creation in heaven and on earth. 5. For what purpose has God called us? For His kingdom, for eternal life, that we should be children of God and brothers and fellow-heirs of Christ, and inherit heaven all by grace. There­fore we should so order our lives here that God’s name and Word are glorified by them, as Christ says in Matthew 5 [:16]. Man was created to be the image of God precisely because God wishes and will be known through him. For this reason, every Christian’s highest concern should be that God’s name not be dishonored. 6. By what means has God called us? By various means, methods, and ways, both out­wardly and inwardly. 7. How does He call outwardly? First, by external creation, for all that God has created in heaven and on earth He created in or­der that He might call and invite us to Himself, so that through visible creatures we might come to the knowledge of the invisible God and Maker of all creation. Second, by various tribulations, adversities, persecutions, afflictions, tragedies, miseries, sicknesses, and poverty, and other misfortunes and chastisements that God sends us, such as pestilence, famine, war, and the like. God uses these things to drive and urge us, so that we are brought to call on His help and assistance, and that He may have reason to help us. 8. How does God call us inwardly? By good exhortation and inward warning, in­deed, by good suggestions and thoughts that God implants in us, either by His good Spirit or our own conscience, or through the hearing of God’s Word. And truly, if we followed God’s ten­der call and perceived His inward warning, He would not be forced to confront us with the out­ward call. But inasmuch as we despise the Spirit’s invitations, the verse “Compel them to enter” [Luke 14:23] comes into play, when God sets so many dogs on our neck, overwhelms us with so many trials and afflictions, that we finally are forced to follow, no thanks to ourselves. 9. 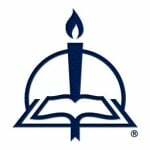 How should we walk in our calling? We should walk in humility and meekness with the patience of love and unity of the Spirit. Not exalting oneself higher than others, no de­spising others, as though one is any greater than others, but going before one another in showing honor, as Christ teaches in Matthew 20 [:26–27; cf. Rom. 12:10]. It was for this sin that the angel was cast out of heaven. Not allowing oneself to be outraged, to attack others in anger and fury with words or works, but doing everything in a kind way with respect to gestures, words, and works. Not taking vengeance personally, but leaving vengeance to God. Bearing with one another, and being lenient to­ward one another’s faults and failures, as Christ was often made to put up with the failures and foolish requests of His disciples. 14. What is the unity of the Spirit? Agreeing in the doctrine of the faith and in love, so that faith is genuine, unfeigned, sound, and pure, and is not divided, half to God and half to created things; not setting up two saviors, Christ and the works of man; nor two baptisms, Christ’s and that of the monks; nor two differ­ent ordinances of the most worthy Sacrament, Christ’s and that of the pope. Also, one’s love be­ing brotherly and unfeigned, so that it does not proceed from hypocrisy and a false heart, but from a kind, peaceable heart without any false­ness toward friend and foe. 15. Why should we walk in humility, meekness, patience, in the love and unity of the Spirit? 16. What does he mean by these words? He means, “Since we Christians are all members together of one body, and all partake of heavenly and spiritual goods, and all have at once the same treasure, namely, one God and Father in heaven, one Lord and Savior, one Word, Baptism, and faith, and in short, one salvation, we should regard ourselves as brothers and sisters under the same Father and our Lord Christ, and whatever grace and gift each has received from God, he should share it with the other, thereby serving, helping, and counseling his neighbor. This is God’s ordi­nance and command, that He wishes it to be so. 17. Is this unity necessary? Very much so. It is only in this unity that Christ’s true church is recognized. Wherever the one faith, Baptism, and confession of God the Father and of Christ are in use and practiced with one accord, there is the one true church of God, the true catholic or apostolic church, regardless of any other disparities and differences in outward, physical life or external order, customs, and cer­emonies. Those who do not have this unity of doctrine and faith in Christ, but rather cause di­vision and offense through doctrines of men and self-chosen works, are not Christ’s true church nor members of it, but destroyers of Christ’s congregation, and have their judges. Therefore, whoever will be saved and come to God must be found in this church of God’s, and be incor­porated into it, for outside this church no one will be saved. God grant us to be found in this church! Amen. From The Christian Year of Grace: The Chief Parts of Scripture Explained in Questions and Answers, pages 317–19 © 2014 Concordia Publishing House. All rights reserved. 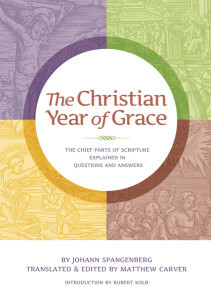 To order The Christian Year of Grace, please contact CPH at 800-325-3040 or visit www.cph.org.